We all know that too many complicated or detailed components in your model can cause the performance of SketchUp to slow down and consequently, slow down your rendering. 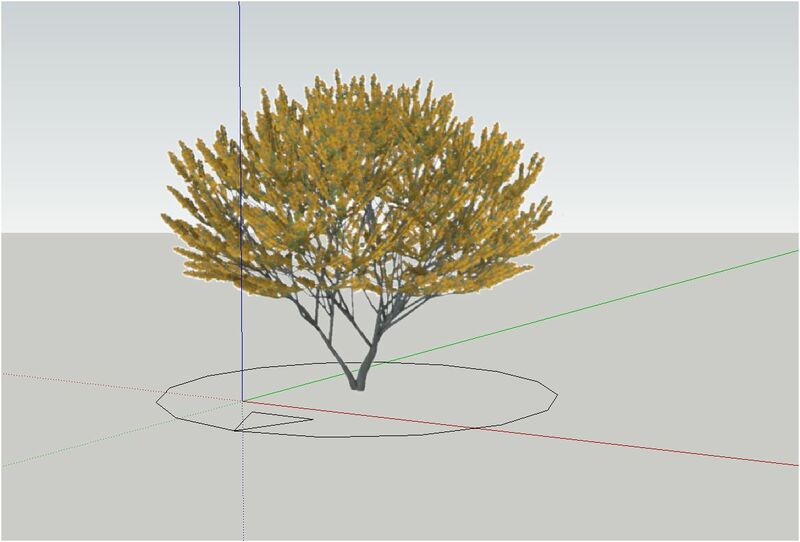 Shaderlight’s unique Replace Me feature allows you to render detailed 3D components without having the heavy geometry in your SketchUp Model. Replace Me components are simple, lightweight components which, when rendered in Shaderlight will appear as detailed and textured objects. 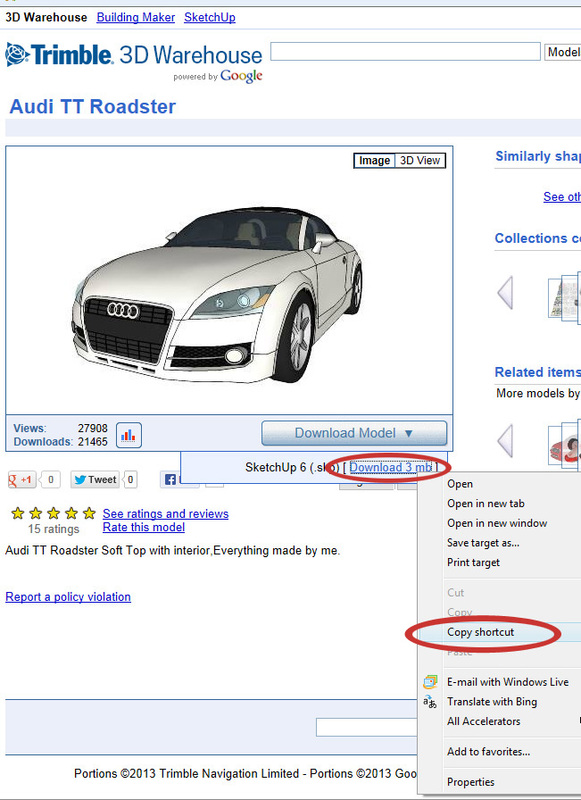 The Replace Me feature is only available for SketchUp 8.0 or later. 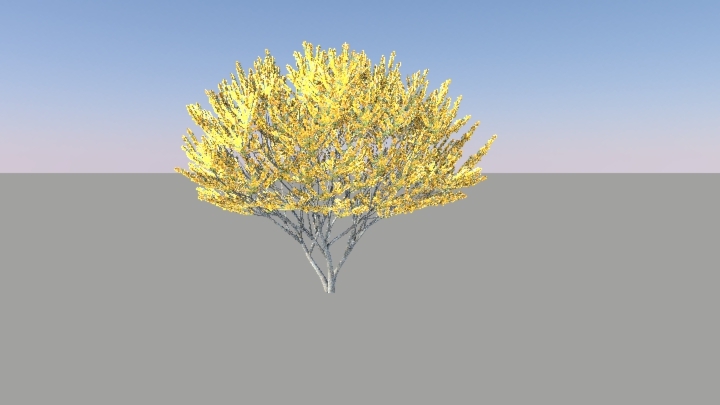 In this SketchUp Model I have used a combination of Replace Me Tree components from the Shaderlight Library and also created my own Replace Me components. This Tutorial will explain how to use Replace Me in both ways. 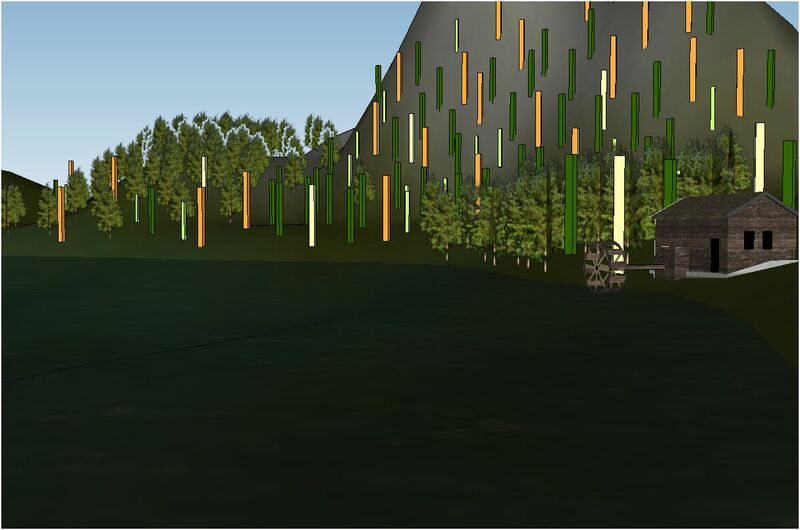 We have created a series of Replace Me Trees and People on the 3D Warehouse which can be downloaded straight into your SketchUp model. 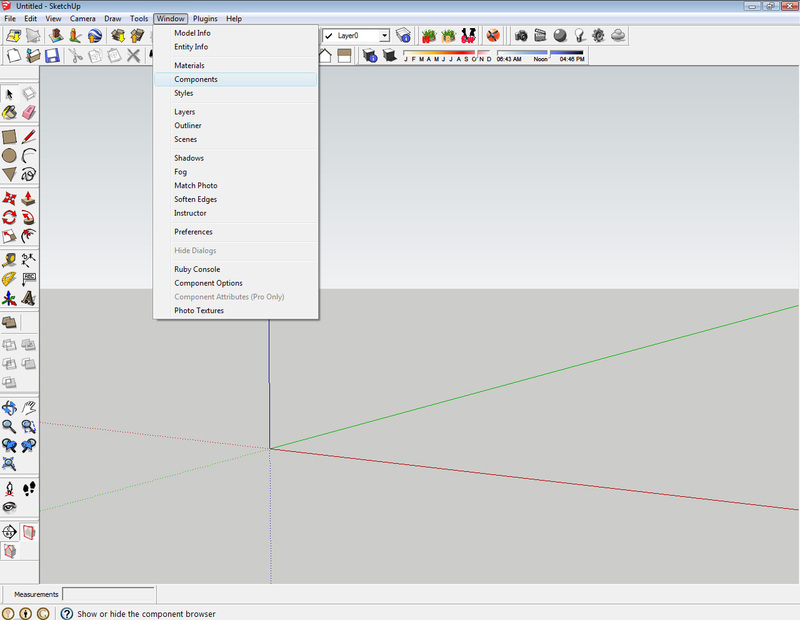 You can access them from the SketchUp Toolbar under: Window> Components. 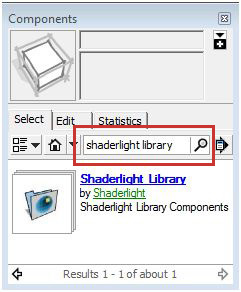 Then type ‘Shaderlight Library’ in the search bar. 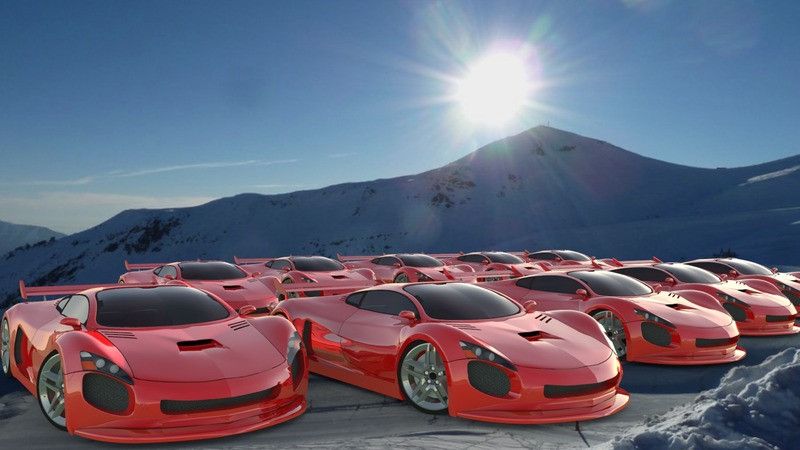 Once you have found the model you want, simply select it and the model will be downloaded straight into SketchUp. 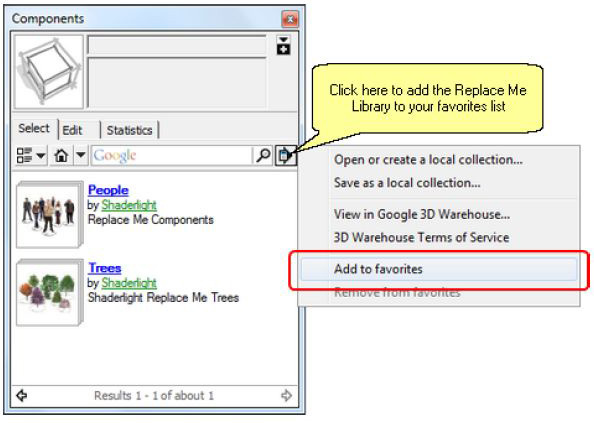 By adding the Replace Me library to your favorites, you can then access it anytime you want from the components browser favorites menu. All of the components in the Shaderlight Library are very simple and usually have a ‘face me’ billboard and a marker on the ground to show the ‘footprint’ and orientation of the detailed model when rendered. When you are happy with the position of your Replace Me component you can render it and see how Shaderlight brings your model to life! Shaderlight automatically downloads a detailed component for each different Replace Me component in your model. This only happens the first time you render as the detailed replacement model is cached on your computers hard drive so there’s no delay in rendering. 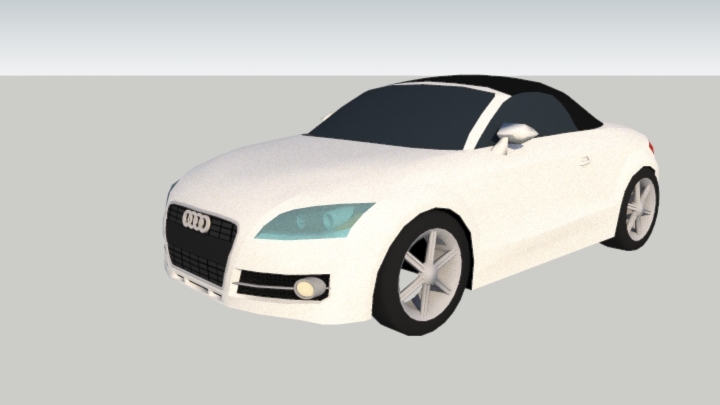 Shaderlight will then render using the detailed model instead of the Replace Me model seen in SketchUp. If for any reason you need to disable Replace Me, this can be done on the SketchUp Toolbar under Plugins> Shaderlight for SketchUp menu. If you uncheck the Replace Me then only the simple Replace Me components will be rendered and not the detailed ones. You can use models on the 3D warehouse or models saved on your machine to create your own Replace Me components. 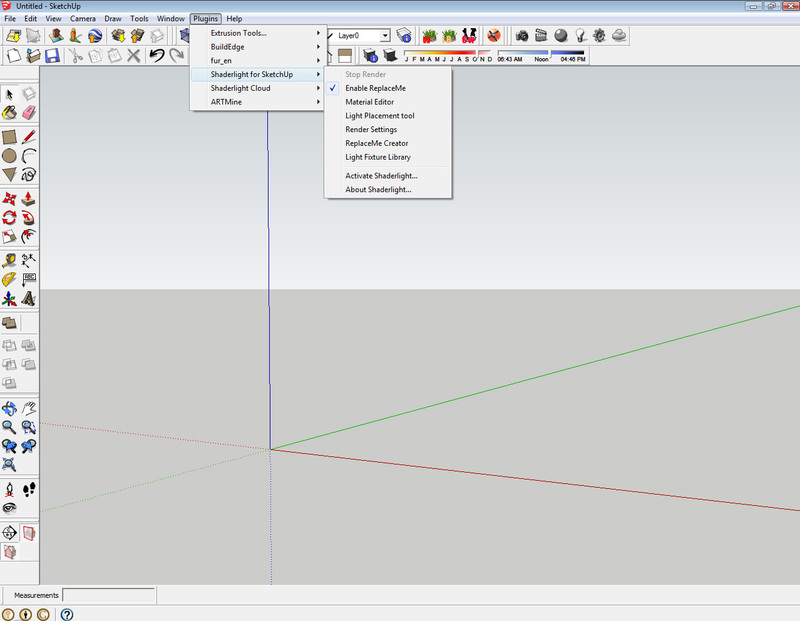 To do this, on the SketchUp Toolbar select Plugins> Shaderlight for SketchUp> Replace Me Creator. 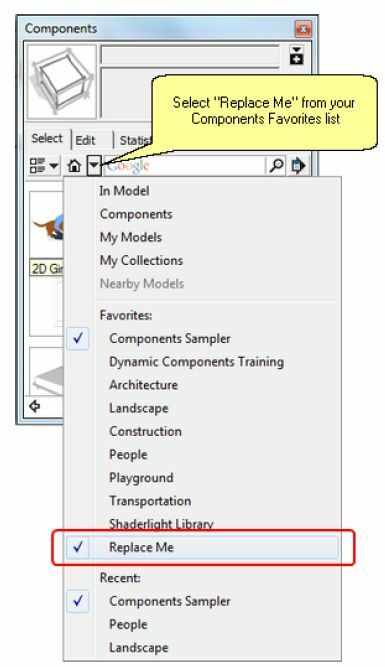 You can either make a simple component or select a component you want to replace in your model. You will see the component name appear in the Replace Me Creator. 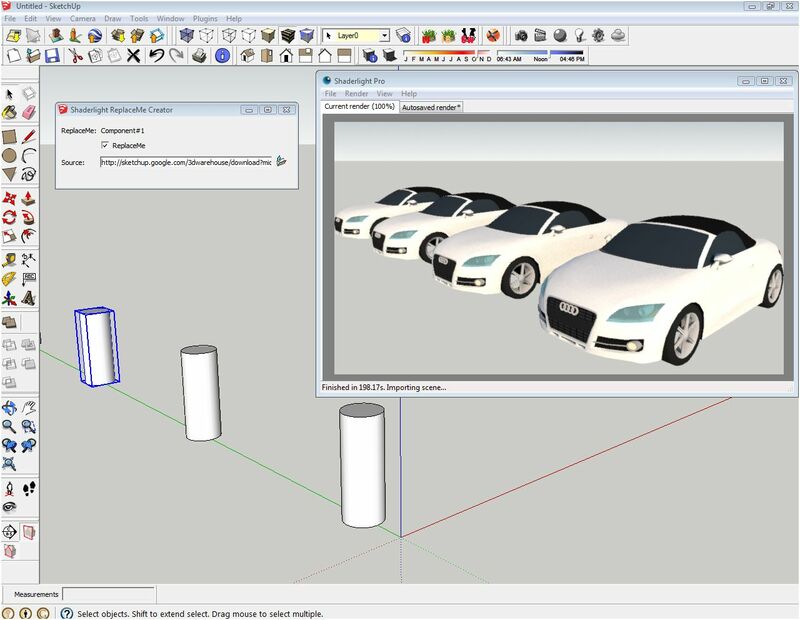 To replace your Component with a model from the 3D Warehouse you need to copy the URL of the Warehouse model. To do this select the ‘Download Model’ button and right-click on the download link, then select ‘Copy Shortcut’. Then when you render, the component will be replaced with your 3D Warehouse model! You can then duplicate the Component and watch your Render update as you go! To create a Replace Me model using a component saved on your machine, the process is very similar. The benefits of this are that you can modify the model and change the finishes so you are happy with the model before you use it as a Replace Me. You need to open the Replace Me creator box and select the component you wish to replace. Next, use the ‘open’ button and then navigate to the model you would like to use as a replacement component. You should then find that the source code will appear once you have selected the model on your machine. 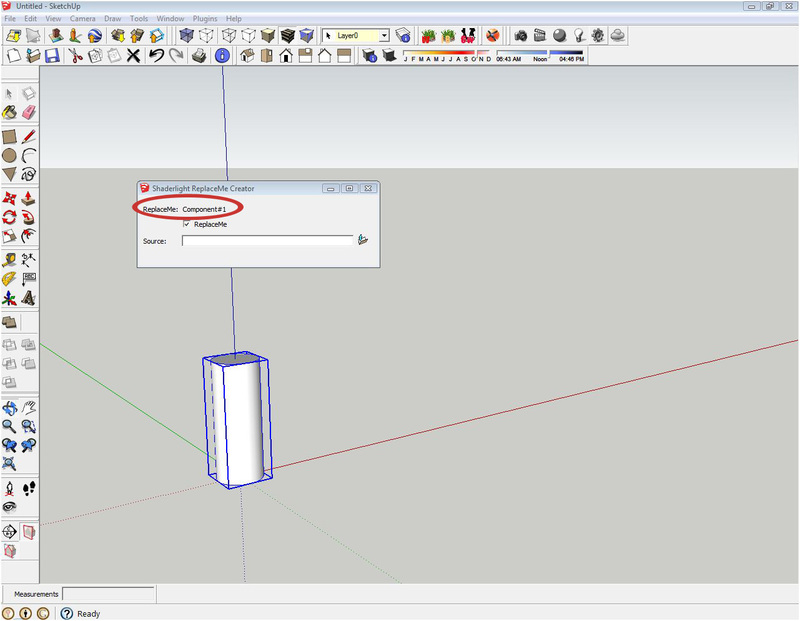 Then hit render and watch your Replace Me component transform your SketchUp model! If you have any questions about getting the most out of Shaderlight , please head to our forum or check out our YouTube Channel. 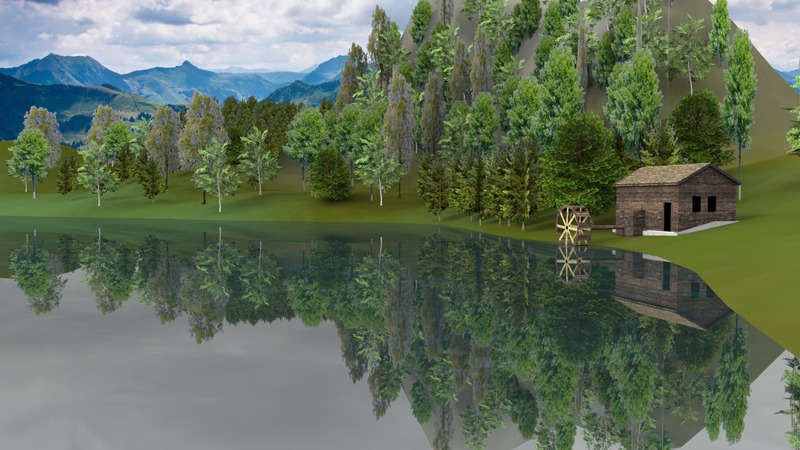 This entry was posted in Tutorials and tagged rendering, replace me, shaderlight, sketchup. Bookmark the permalink.